At JTech we design and develop advanced custom websites. 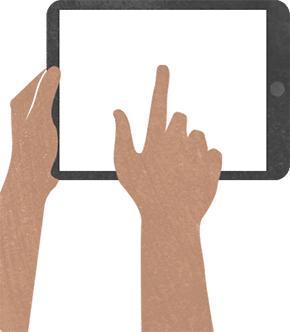 Our Bozeman web developers lead the process of building your business’s online properties. Web development is a more highly technical and comprehensive discipline than web design in that web design is primarily concerned with creating a website’s style, from graphic design to customer usability. Professional website design gives your business a credible home on the web where you can interact with customers and build your brand. Web development goes a step further — it is all about building functionality into the site. Our highly skilled web developers do anything from creating smart customer service forms that change based on the user’s needs, to building an entire e-commerce platform for your site. Ultimately, JTech's Bozeman web developers utilize your website’s full potential to enhance your business. 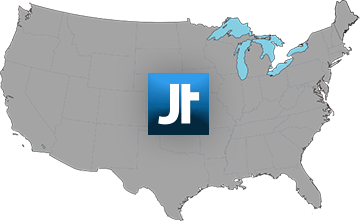 Here at JTech we have a great wealth of web developer experience working with customers in Bozeman, Montana and throughout the nation. Our clients come from all over the United States and we’re able to work in close contact with individuals and companies even when they aren’t in Bozeman. As a Bozeman web developer company founded in 1997, we have the knowledge and experience to reach out and work with a variety of businesses in Bozeman and beyond. At JTech we place a significant emphasis on building custom web development projects that will help your company succeed. To ensure that your project benefits your business as much as possible, we spend extensive time getting familiar with your business’s needs. Once we have worked with you to plan your site, our talented and experienced Bozeman web developers go to work on a custom-built web design solution that will enhance your business. Even with the website complete, our job doesn’t end there: we are dedicated to providing the resources you need to maximize the potential of your advanced website. We’re happy to help with all of your website needs — from web hosting and website marketing, to maintenance, and any future updates to your site. Talk to us today and find out how easy it could be to have a website that truly enhances your Bozeman business. Our Bozeman website developers are all about building a website that meets your needs. In order to build an advanced custom website for your business we need to learn about your Bozeman business’s website needs and goals, which is why we begin with a detailed web development planning process. We get to know your business so that we can determine the best use of your resources to create a website that will improve your Bozeman business. At this point, our Bozeman web developers will create a list of web development projects to advance your business and work with you to create the best plan for your custom business website. This process will save you time and money later because you will only be investing in the web development that will yield the most benefits. Once we know what the site needs to accomplish and are familiar with your brand, we begin creating the site’s structure, developing wireframes and visuals to guide the finished site’s aesthetics. We will help you determine whether building a custom software solution will serve your business the best, or if there is a simpler way to approach the Bozeman website development. As we go through this process, we will work with you to gather and integrate your business information into the website. We provide managed hosting services, ensuring that your website is available all the time. We also offer ongoing Search Engine Optimization (SEO) and internet marketing services to help your website rank even higher in search engines. To meet the needs of your growing Bozeman business, we offer maintenance and updates for your website. We view your completed website as the beginning of a working relationship that will last throughout the life of your business. We would love to show you what the best web developers in Montana can do to enhance your Bozeman business. Give us a call or contact us by email today.